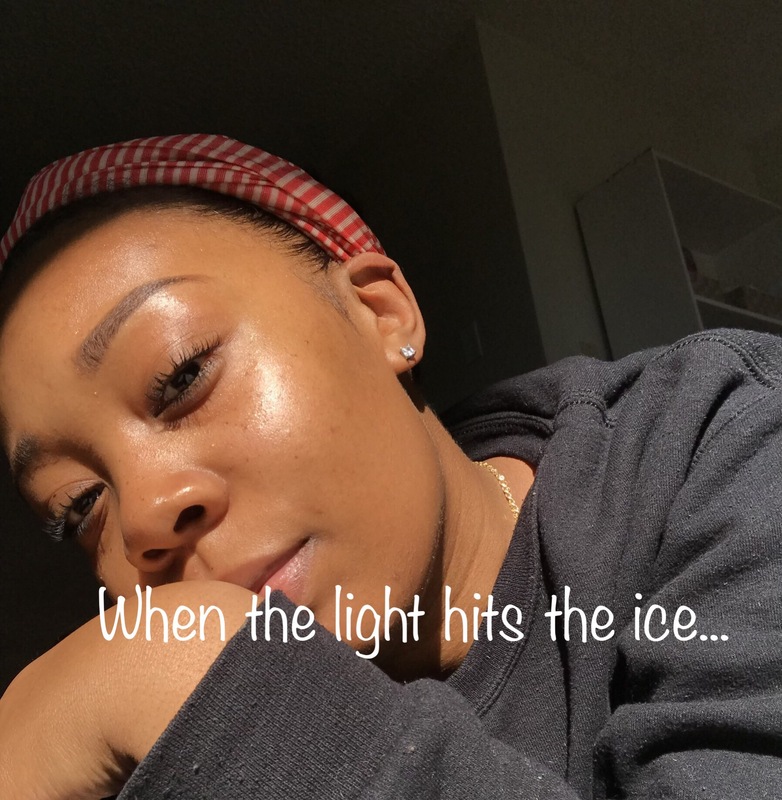 When the light hits the ice: A skincare appreciation post | iamstylingonyou. She’s about that life! Anyway part of this self care lesson was introducing me to a more preventative skin care routine. As I was growing up and getting out in the real world. One of our stops was the La Mer counter. (She fancy). I must say that my experience at that counter turned me on and proceeded to turn me out into the world of skincare. The woman that helped me was so attentive and informative, she gave me all kinds of advice, recommendations, and resources; so that I could further fall down the rabbit hole of beauty. And boyyyyy did I! That was a valuable experience to me and also set the bar for related experiences going forward. Diet! What you put into your body is JUST as important as what you put on it. I eat A LOT of green vegetables. I try to include them in every meal I make. I notice that when I am really on top of my diet my skin responds accordingly. It’s has a inner glow and I get less breakouts as well. DRINK WATERRRRRRRRRRRRRRRRRRR! Hydrating your body is important. I notice that when I am not drinking enough water my lips are the first to start tripping, then the rest follows suit. Do your googles. Water in important! Don’t think you can drink hella sprites and slap some La Mer on and you’ll be straight. You won’t, trust. Use Sun protection! Minimum SPF 30. My mom isn’t lying, using SPF (yes, even if you are black) is a MUST. It helps combat wrinkles and the aging process and if you are like me and have a challenges with hyper pigmentation and are acne prone, you really need to be using it. It prevents those dark spots from getting darker Again do the googles please. Rosehip Oil and AHA/BHA peel from The Ordinary: I have been using these for a month now and I’m never taking them out of rotation.First of all they are affordable. BOTH of these items were under $20 and deliver results. I use the peel twice a week when I am on top of things and I’ll follow up with the Rosehip oil to hydrate. This has contributed to my skin’s texture being smoother and combating my hyper pigmentation. The Rosehip oil also works in tandem with those concerns and serves as a hydrator. I use Rosewater as a toner and boyyyyyyy does it work. Along with balancing the skin it also adds hydration. Again …affordable! European clay mask: This is similar to the Aztec clay mask however I feel that it’s more gentle on the skin without having to use ACV and yields the same results. I vow to be more diligent with my SPF…I always look forward to your skincare posts and tips! Great tips! By the talent of her daughter and soundness of her wisdom, Moms sounds like quite the lady. I will most definitely use the game provided here. Keep it up!